Shortlisted for the Manchester Book Award. As well as writing novels I'm a screenwriter, working on movies for some major Hollywood producers. In my events my aim is to inspire creativity, story-writing and reading, but of course to entertain at the same time. 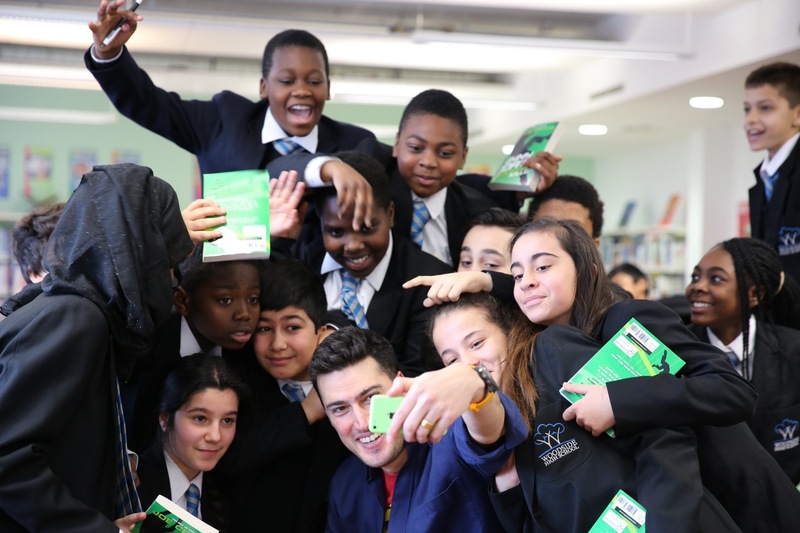 Since my first book came out, in 2005, I've visited hundreds of schools, speaking to over 100,000 kids. Before that I studied Philosophy at Cambridge University then worked as a musician and songwriter. Most of my work is with Years 5, 6, 7 and 8, but audiences range from Year 4 all the way up to Sixth Formers and adults. I also have plenty of experience handling a family audience (for example, at prize-givings and festivals), with a complete mix of ages. 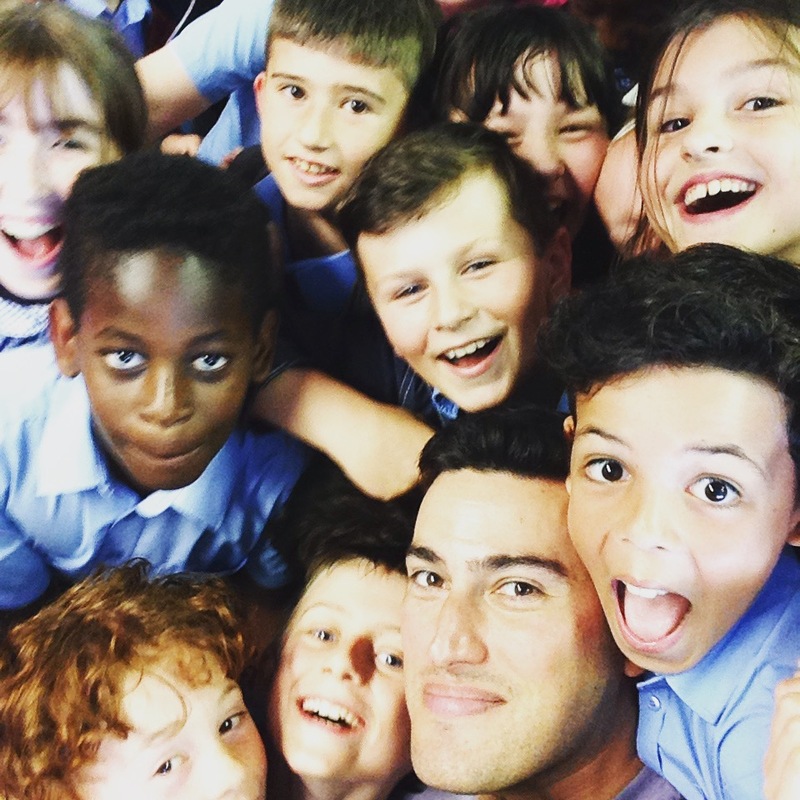 My sessions are high-energy and highly interactive, to re-ignite the imagination in the adults and to let the children loose with their wackiest (and most brilliant) story ideas. It's a lot of fun, but the goal is that it also inspires students to see reading and writing in a whole new light, while giving them the basic tools to come up with wonderful and original stories themselves. Each session is different. I can adapt to suit your requirements, and will always follow the audience’s interests. Topics covered usually include how to come up with ideas, how to develop an initial idea into a story, and how a story is constructed. 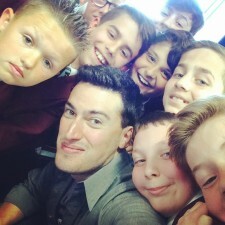 I always make time for questions, and encourage follow-up contact through my website if the students have more to ask me, or want to share some of their writing. As well talks on writing and my books, I run sessions on screenwriting, on songwriting and, occasionally, on philosophy. What else do teachers and librarians say about my visits? I’m based in London but I’m willing to travel anywhere. (I’ve run workshops in the USA, China, Australia and have more events in the Far-East next year.) My fee is based on a standard rate, but you will need to pay travel expenses if you’re outside London, and provide overnight accommodation if I can’t get to you and home again in a single day. I usually do two sessions in any one day, but I like large audiences, so you can pack as many students into those sessions as you like. And I am, of course, flexible. If you decide you’d like a visit from me, you will always be sent a comprehensive information pack, and I always have time for a chat on the phone if you need to discuss any aspect of having an author visit. ...and if you like that, there are plenty of other youtube clips of me, so have a browse. Each Jimmy Coates book is a self-contained thriller, so you can read them in any order, but if you DO read them in order there is of course a story arc than runs through the series. First in the action-thriller series for the 8-13 age group. Short thriller, my first non-Jimmy Coates book! Jed finds an ancient helmet embedded in the earth. The original owner wants it back - with time and space in the way. But this helmet was made for war and it's ready to fight again, through whoever puts it on. A short-story action thriller.